Lean Tip #256 – Make sure everyone agrees on the problem statement. When trying to identify the root cause of a problem it is important to make sure everyone agrees on the problem statement. Include as much information as possible on the “what,” “when,” and “how much” of the problem. Use data to specify the problem. The correct problem statement can save time identifying the root cause. 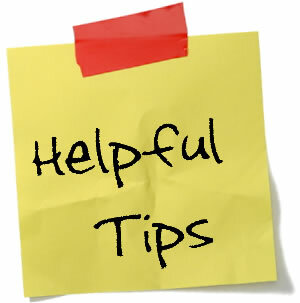 Lean Tip #257 – Ensure data collection consistent and accurate to avoid costly mistakes on projects. Managers, leaders, and/or team members can do their part to help data collectors do their job well by simply showing an interest in the project. Ask the collector how the project is working out. Show your support – tell the data collector it is important to collect the information. Above all – act on the data as quickly as possible. Lean Tip #258 – When setting a target for change it is important to remove barriers. When choosing a target for change, remember that simply pushing the positive factors for change can have the opposite effect. It is often more helpful to remove barriers. This tends to break the “change bottleneck” rather than just pushing on all the good reasons to change. Lean Tip #259 – Focus on overproduction, the worst of all the wastes, first. As you begin, your lean initiative, concentrate first on overproduction, which is often a company’s biggest area of waste. It can also hide other production-related wastes. As your lean initiative progresses, your company will become able to use its assets for producing products or services to customer orders instead of to inventory. Lean Tip #260 – Use the fewest number of kanbans possible to keep downstream operations running. The fewer kanbans you have, the better. Having too many kanbans means you have too much planned inventory. You should monitor and adjust your kanban level so that you only produce the minimum amount of inventory required to keep your organization’s downstream production assets running according to schedule. Too many kanbans, just like excess inventory, can hide problems. Lean Tip #261 – A Leaders job is to help the team and team members succeed. Every leader has two jobs. Your job is to help the team succeed by accomplishing your mission. That's the job that gets the most attention, but your other job is just as important. Your job is to help your team members succeed, too. "Succeed" means doing a good job, developing skills, earning autonomy, growing, and much more. Neither job is "the most important." They're equally important, and often support each other if done well. Lean Tip #262 - Give team members the maximum control possible over their work. People want as much control as possible over their life, including their life at work. When they do, both you and your team are happier and more productive. The key phrase is "as possible." If they don't know what you expect, tell them. If they don't know how to do the work, coach and train them. If they don't pitch in on their own, supervise them. Otherwise, let them get on with it. Lean Tip #263 - Remember people are just people. Sometimes we forget but people are people. People have emotions and they bring them to work. People are unique, not interchangeable parts. People have relationships and knowledge. People have lives that overlap their time at work. People aren't good at the things machines and computers are good at, but they're perceptive and creative, things no machine can match. Bottom line: expect people to be people and revel in the wonder of it all. Lean Tip #264 - Base your judgments on behavior and performance. Behavior (what people say and do) and performance (something you can measure) are all you should use when you make your judgments and decisions. Everything else is a guess and this is an area you don’t want to be wrong in. Lean Tip # 265 - Go Ahead and Make a Mistake or Two. "Very few people feel comfortable making mistakes at work. They fear they will lose the respect of their managers and peers, and that their reputations will be tarnished. Yet, mistakes are often the best teachers. It's impossible for your people to learn something new if they only do things they know well. Create a mistake-making culture. Encourage your people to take risks. Help them accept their gaffes and share what they've learned from them. Of course, there are times when blunders are too costly. But for those less mission-critical times, ask your people to approach problems as learners, not experts." - Today's Lean Tip was adapted from "The Miracle of Making Mistakes" by Vineet Nayar. Lean Tip #266 - Ask Your Employees What They Value. You must have a continuous discussion with employees as to what they value. If you want to keep them working for you, you must deliver value. Here’s a hint: It is usually not money. This is why it is important to have this dialogue with your employees. Lean Tip #267 - Don’t Impose Your Values on Other People. People may not value the same things as you. Do not project your own values on to others. Often people of different generations may have radically different work values than you do. Respect for people is about listening to individual’s needs and what they value. Lean Tip #268 - Tell People You’ve Heard Them. After you’ve asked employees what they value, it is important to let them know what you heard. Failing to recognize what’s most important is what leads to ineffective listening. You may have heard what they said, but you missed what they wanted to convey. You need to simply state what you learned from your dialogue. Lean Tip #269 - Leadership is much like parenting. You can read a lot, you can be taught, you can be mentored and guided, but in the end your leadership style will be unique to your experiences and specific situations. There will seldom be black or white answers. However, just like parenting, the one irrefutable characteristic about true leadership is that it is not about you. Lean Tip #270 - True Success of a Leader can not be measured without considering the results of the succession plan.